Monday Made It: Favorite Made It EVER! I know Monday often gets a bad rap (what, no "Mon-YAY" memes?) 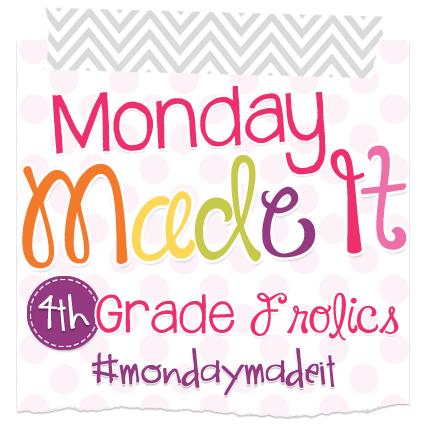 but I've always been fond of that "fresh start" feeling as a new week begins...and in the summer, Mondays are awesome because that means it's time for Monday Made It! Seriously, who knows what I would get done over the summer if not for Tara and this linkup? Anyway, I had a busy week so let's get right to it! I know there are people who feel differently, but I love classroom decoration. Themes, color coordination, fun displays...this is what gives me life. In fact, I think, I KNOW part of the reason last year was such a poop sandwich for me was because I never got the chance to really make my room my own. It was a construction zone for two months, and by the time everything was finished, I just didn't have the energy to get in there and make it cute. I never walked into that room and felt happy to be there, because it was cluttered and disorganized and just not "me." So, back to the whole color coordination thing. 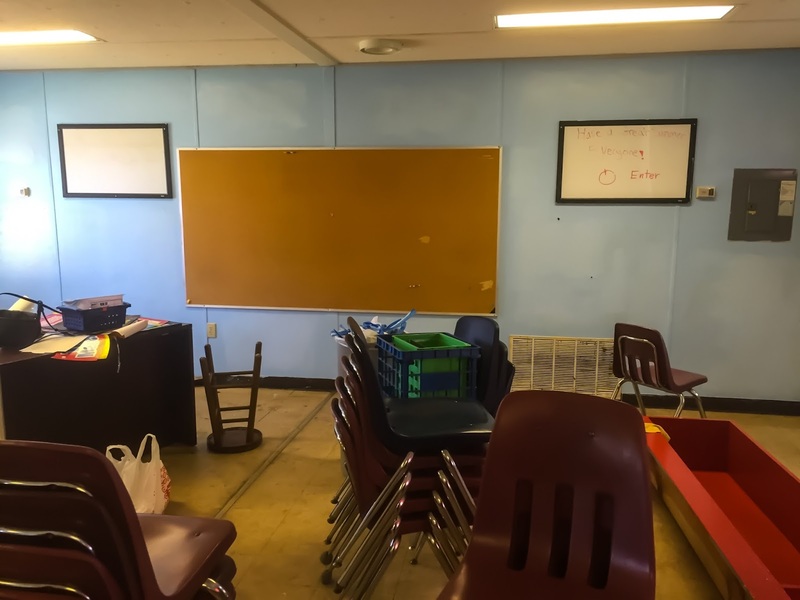 Whether it be industrial gray or orangey-beige that picks up every hand smudge and dirt mark possible, the color of my classroom has always been so drab and uninspiring. I've always been envious of the beautiful Pinterest rooms that are bright, cheery, and fun. Now, this is before the new tile was put in, and I still need to get rid of the trash that was left behind, but I am in love with this wall color. I can't even describe how happy it makes me that I got to do this. It's amazing that a few coats of paint can make such a difference...I'm so excited to show you how it all comes together! Moving on, I had a lot to work on at home as well! One thing I wanted to cross off my to-do list was my homework folders. Something I really want to focus on this year is increasing my students' background knowledge. To be honest, I find it scary how much kids these days don't know, because we are constantly pushing developmentally inappropriate tasks on them instead of helping them build their knowledge base...but that's a rant for another time. Anyhow, since I am back in the gifted/high achieving world this year, I immediately thought of Mrs. Renz's Mastery Club, which I had used years ago and loved. This is designed to be an in-class activity for students seeking a challenge, but I was pretty sure I could adapt it to be used as homework. I was super happy to see that Mastery Club is now a file in her TpT store, including editable pages! I snapped it up and got to work. (Before I continue, let me state again the idea for Mastery Club comes fully from Heather Renz, and all of the changes I made below are purely cosmetic. I highly recommend purchasing Mastery Club for your students, which has literally EVERYTHING you need to get the program up and running in your class). I bought a class set of folders, and some cute chalkboard labels, which I wrote on with a chalk marker...yes, I could have printed labels, but I like having excuses to practice my cursive! 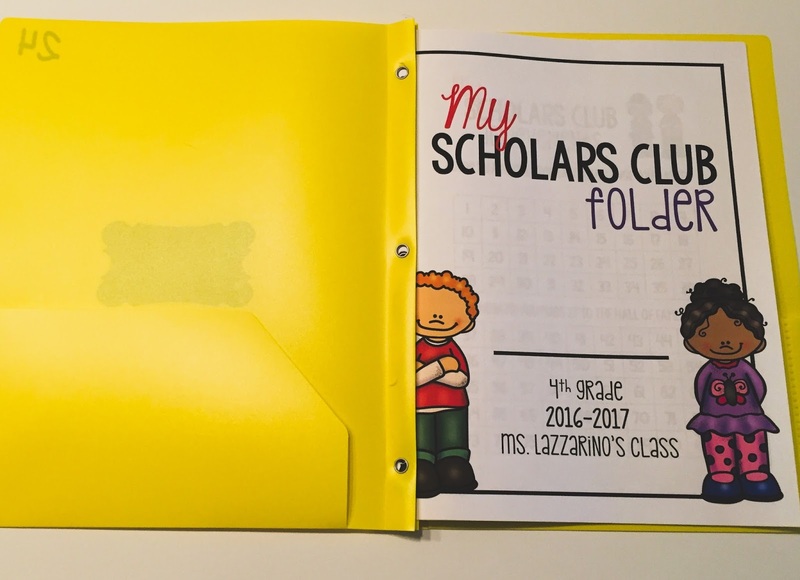 Instead of Mastery Club, I'm calling it the Scholars Club, since that is what we will be calling the 3rd and 4th graders in this class. I also whipped up some covers...again, the covers that come with the product are great, I just always like to make things harder on myself! I also made my own version of the progress sheet. Since I don't teach math, I eliminated the math challenges, and modified some of the other challenges to meet the needs of my students. Mrs. Renz has the Hall of Fame set at 16 challenges met, but since her program is optional and mine isn't I bumped up the number. 36 would be the amount of challenges met if each student attempted one challenge per week. To make these pages, I used the editable challenge sheets provided in the file. From there I was able to change the fonts and eliminate/reorder some of the challenges (you may not want to do that...I'll explain why a little further down). Students research a challenge of their choice, and are considered to have "mastered" the challenge if they can write down/recite the information without using their notes. They are allowed to retake any challenge they don't master, as long as they don't do it on the same day. 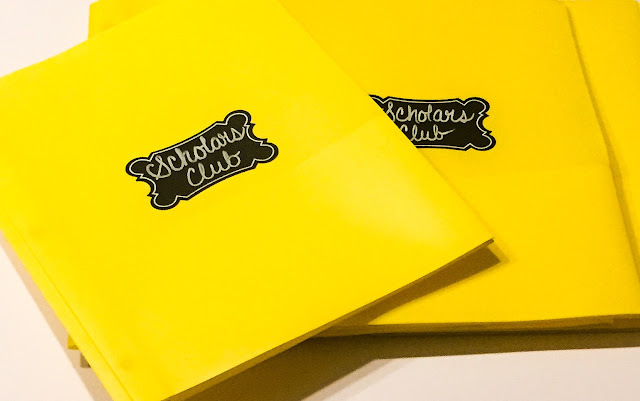 Something that is included in the product that I love is a letter to parents explaining what the club is all about, and why memorization is still an important skill for our students. Each challenge has a corresponding answer sheet that I will be placing in a file crate. The sheets are numbered...which is why you probably don't wan't to move the challenges around like I did...but some creative use of Avery labels can fix that! I plan on using the time that would have been reserved for checking homework or for the weekly spelling test (I'll be explaining why I'm ditching those in a later post) to have students demonstrate their mastery of each challenge and fill out their progress sheets. I'd like to again thank Heather for such an amazing product...I know my kids are going to love it and strive to be in the Hall of Fame! 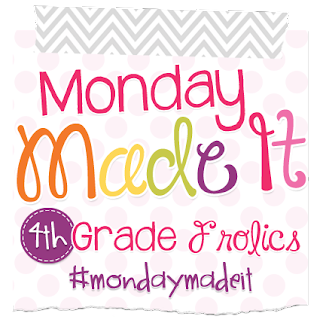 Thanks for reading, and be sure to head over to 4th Grade Frolics to find more items to add to your to-do list! Thanks so much for commenting on my blog! It's so nice to find another 3rd/4th high ability teacher!! 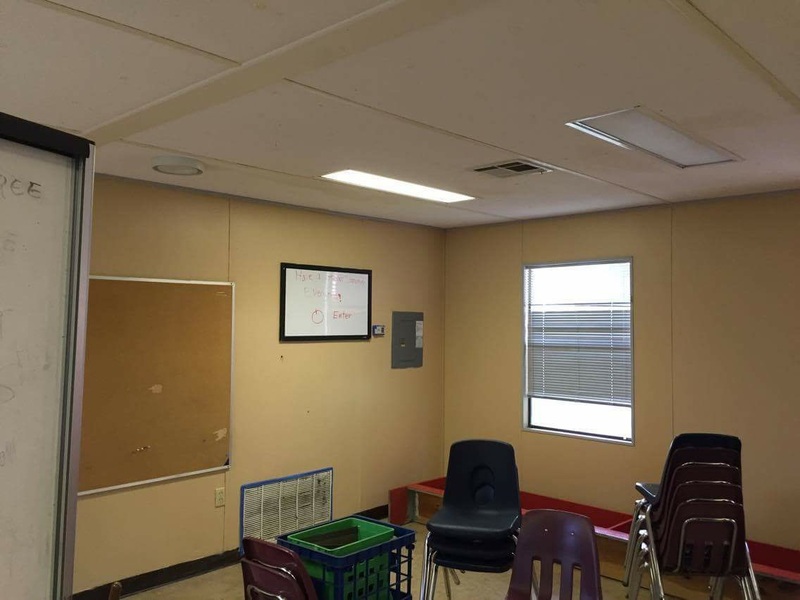 I love your classroom and so wish that I could paint my boring classroom. Thank you!! The wall color makes me happy :) I can't wait to explore your blog more, I loved your post! OMG, I love your classroom color! 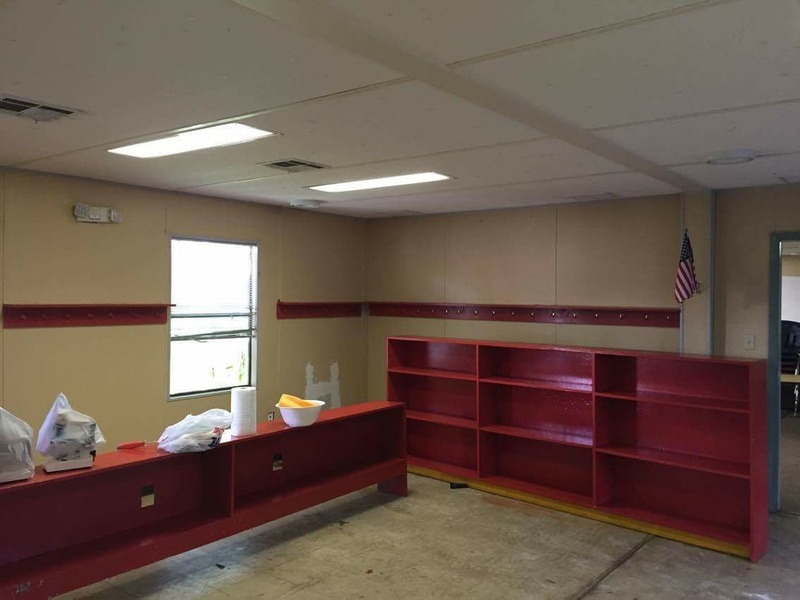 I'm totally jealous that you're allowed to paint your classroom...oh, the possibilities! I can't believe you can pant your classroom. I'm so jealous! And I have to agree with Susie, as she beat me to it. "Poop sandwich" will now become a regular term in my vocabulary. It's one of my favorite expressions! I'm so happy my principal went with the whole painting thing when my teaching partner and I brought it up. I think the kids will love it! You have been so productive! I can't even get into my classroom yet, let alone paint it! I love how it turned out!! Wow! I love the color you painted your classroom! It's so bright and inviting!! 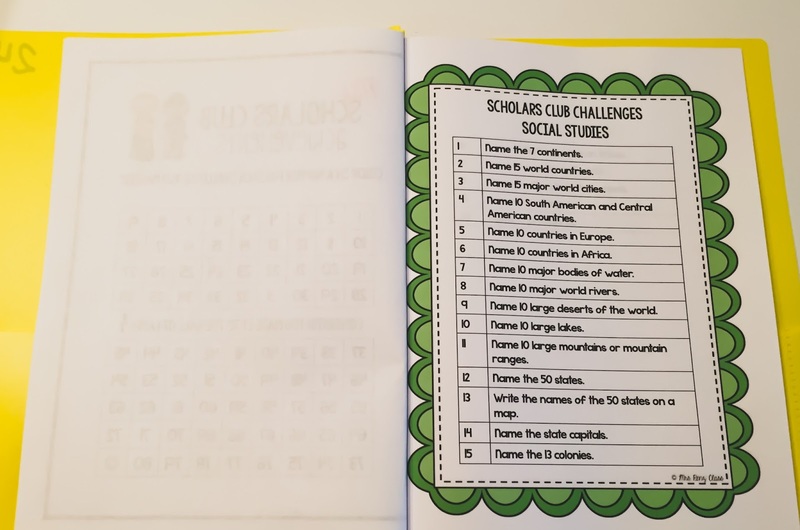 I use to do that challenge when I taught 2nd grade, I called it the Scorpion Challenge since that was our mascot. Love your room color and your folders! Thank you! 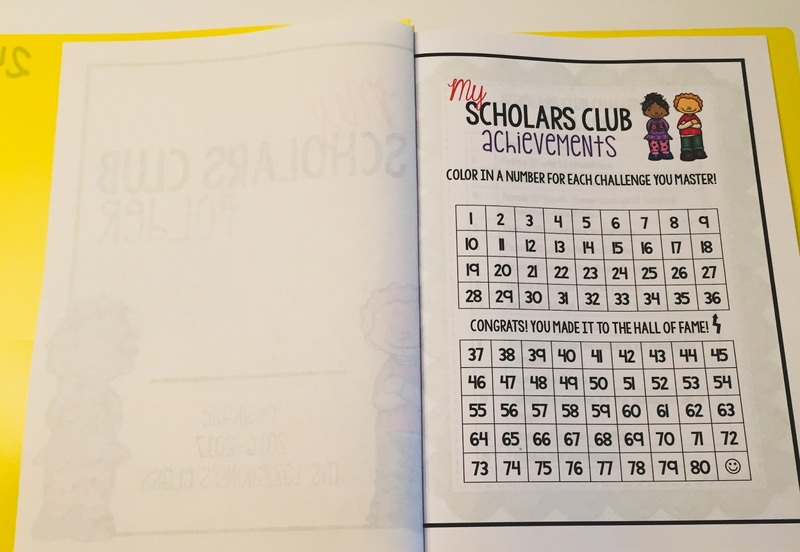 I love the challenge, I think it's a great way for kids to strive to always be learning something new! Thank you so much! I can't wait to haul all the junk out of there and get to decorating! 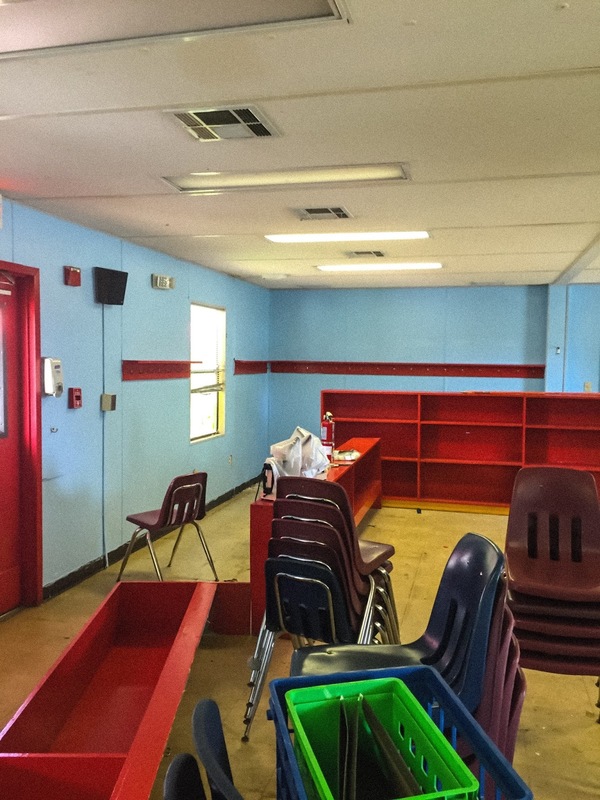 I am loving the color of your classroom!